Deciding which workout works best for you and how to be active on a regular basis can be challenging and derail your health efforts before you even get started. Most people have busy schedules and find it difficult to find time to workout. But even short workouts are better than no workouts and finding a routine that fits your schedule will help you reach your health goals. Use these five tips to learn how to be active every day, even if it's only for 15 or 30 minutes a day. There's nothing like lifting heavy things and watching your muscles gradually get toned. Also, you'll continue to burn calories hours after lifting. There are several ways to add resistance training to your routine, through free weights, machines, bands, and body weight training. Free weights allow you to engage more than one muscle, which helps you with functional fitness and prevents everyday injuries. With each exercise, you'll learn to increase strength and stabilization of muscles by mimicking real-life movements. 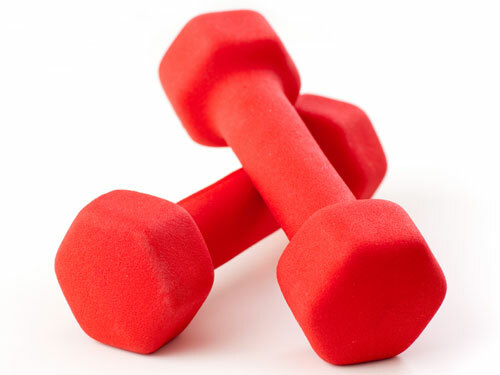 Some example exercises include bicep curls, chest press, dumbbell rows, shoulder press, deadlifts, and squats. But if free weights aren't your thing, or if you're new to weight training, machines work just fine too. Weight machines isolate one muscle group at a time and are great to use if you're fatigued with other muscle groups that you'd otherwise use if you were using free weights. However, if you don't like using weights at all, then consider using resistance bands or even your own body weight. With resistance bands, you can still perform the usual free weight exercises and get a full-body workout, you'd just select a pair of bands, which range in thickness and length, that fit the level of resistance you want to achieve. Who needs a gym when you can use your own bodyweight to work out? Bodyweight exercises can be done anywhere at anytime. You can burn fat fast and get in some cardio too with exercises like burpees, push-ups, and mountain climbers. Bodyweight training can also help you improve your posture, flexibility and improve your core strength. Use household items to get in a good workout. Got steps? Use those to do lunges. Have a chair? Try decline push-ups or tricep dips. I'm quite sure you have a wall, which is perfect for wall-sits. No exercise ball? No problem. Use a small box or small laundry basket to do leg lifts and work your core. My favorite types of cardio workouts are the ones that allow me to dance to my favorite type of music -- salsa, merengue, rap, pop, etc. Personally, I've burned over 600 calories in a single Zumba class. It's easy to keep your energy high when you're having fun and focused on the music, and I don't worry about following along perfectly, either. Zumba is my go-to when I'm bored of using the elliptical and need to shake up my routine. It's also a way to add some fun to my usual workout regimen. Another great thing about Zumba is you can make it a low-impact workout and still get a great workout. Try this cool workout idea: Do you have a favorite choreography from one of your favorite songs? Learning it can be part of your workout! Personally, anything by Beyonce, Janet Jackson, or Michael Jackson could get you to work up a sweat. Or, if you're really feeling creative, combine a series of dances to create your own choreography and count it as part of your workout. Yoga helps improve strength, flexibility, and balance. Aside from its physical benefits, yoga has numerous mental benefits as well. The practice you to remain in the moment through meditative breathing and helps relieve stress which can manifest itself in headaches, neck or back pains, and issues sleeping. 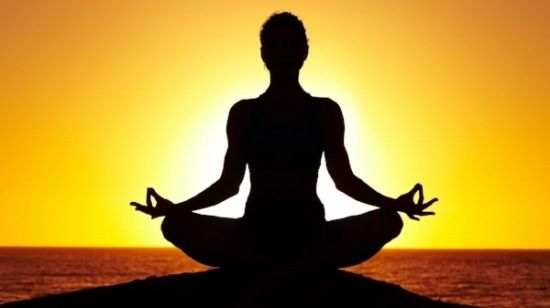 Yoga also improves concentration and can give you an emotional boost. When I worked a stressful job, I would attend Sunday morning or Monday evening yoga classes to relieve and manage stress and improve my mood for the rest of the week. Also, as a beginner yogi, I can tell you there's no pressure to perform all the stretches perfectly. It's about breathing and increasing awareness of the relationship between your mind and body. Try incorporating at least 15 minutes of yoga in the morning and evenings to start or end your days. If you're already into yoga or aren't into the usual yoga music, try Trap Yoga! In Trap Yoga, you do the same fundamental poses but to trap beats instead of the usual relaxation music used in normal yoga classes. Walking, power-walking, jogging, wogging (walking + jogging), running..whatever you do, are free exercises that can be done anytime at anyplace. Both improve your cardiovascular system, promote weight loss and reduce the chances of developing chronic diseases such as heart disease and type II diabetes and can help lower high blood pressure. Personally, I take a walk every day to improve my blood sugar levels as part of managing type II diabetes. As you run or walk, engaging the abdominal muscles improves core strength and helps your spine. Going for a short or long walk or run can refresh your mind, relieve stress, alleviate anxiety and unleashes endorphins to improve your mood. Kick up your walking and running workouts by adding high-knees, kick-backs, or jumping jacks in intervals. Here's an example: Run 1/4 mile, then do 10 jumping jacks or if you like to use street lights or blocks as milestones, use that interval to do kickbacks to the next block. You can also add some resistance training to your workout by adding in squats or push-ups during your runs and walks. As an adult, it can be hard to find time to squeeze in time to play sports with friends. But if you have a recreational sports team or a willing partner to accompany you to the closest park, consider adding sports to your regimen. 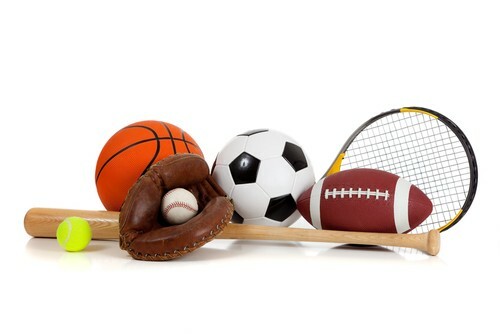 Aside from health benefits such as weight loss, increased cardiovascular endurance, increased muscle, and the prevention or management of chronic disease, playing sports improves discipline and keeps you socially engaged. Remaining socially engaged maintains motivation to stick with the routine and can make you feel accountable to showing up at each practice or game. Also, playing sports allows for new friendships to form, which is helpful in forming and maintaining an active and healthy lifestyle. Create your own sports game or bring back a game from childhood. Invite your friends and neighbors and make it a good time! When I used to play tennis, sometimes I would find a wall and hit the ball back and forth to create a solo tennis match, almost like racquetball. Technically, this would be a sixth way to stay active each day, but if you love to do cardio without the impact and putting stress on your joints, try using an elliptical machine. It's my go-to when I need a high-intense workout without putting too much strain on my knees. I can adjust the resistance and ramp to as high as I want and improve my cardiovascular endurance. If you're purchasing an elliptical, but need help figuring which one is for you, check out Reviews.com's article on the best quality ones to buy. How do you remain active every day? Which workouts do you love? Comment below!